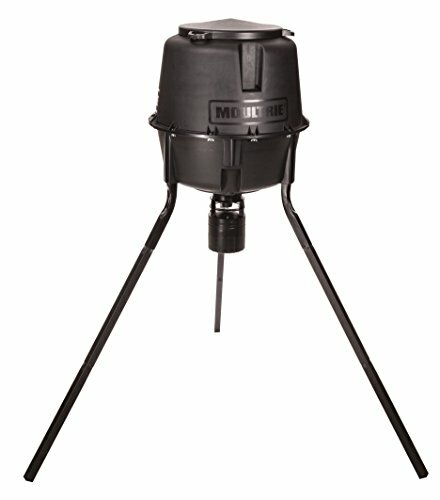 The deer feeder classic keeps feeding simple, reliable and economical. Thanks to Moultrie exclusive quick-lock modular technology, interchangeable with all Moultrie feeder kits, assembly has never been easier. Just insert the quick-lock hopper into the kit and twist! made from durable, UV-resistant plastic, the hopper has a FILL height of 5.5 feet for easy ground-level access. A dusk setting programmable up to 30 minutes before sunset offers flexibility in patterning deer to your schedule.